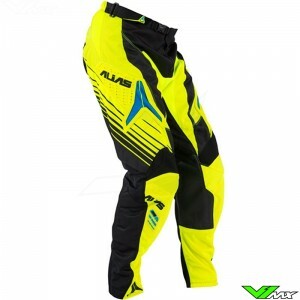 The Alias motocross pants collection consists of the following types: A1, A2 and A2 youth. With the new and improved design the pants have a better fit to increase the comfort and performance of the rider. 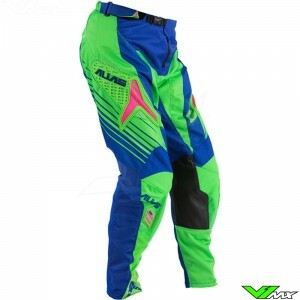 The high-grade polyester used in the Alias pants provides wear resistant and light weight mx gear. Large leather panels are used at the knee area to give the rider protection against the heat of the exhaust. 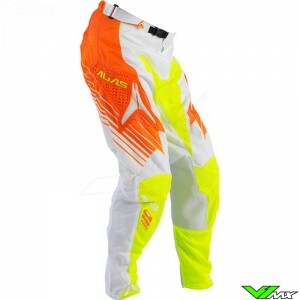 The Alias mx pants are very elastic which causes the rider to have less movement resistance. Therefore the rider will have more energy to control the bike which boosts the performance. A ratchet closure in combination with a heavy-duty zipper makes for a good attachment. If you are looking for good quality mx gear you are at the right place at V1mx. Order the products easily online for a low price. Want a full gear combo kit? The mx gear combo kits are competitively priced at V1mx, because we give discount to sets in comparison with the individual products.